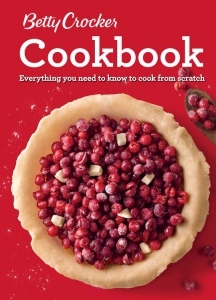 This is the book home cooks have come to trust; the 12th edition of the Betty Crocker Cookbook, with updated recipes, new photography, plus expanded and new chapters to meet the needs of today’s home cooks. With 1,500 recipes and variations, and more than 1,000 photos, this colourful new edition packs a punch. How-to step-by-step photos show rather than simply tell how to get great results. The new Technique features explain fully the concepts behind techniques such as braising, deglasing, and hot water–bath canning. A Make-Ahead feature shows how to make a batch of one item and use it various ways. And a Global Flavours ingredient ID introduces new ingredients by region. Now available in a convenient comb-bound edition, this classic is destined to be the most-used book in the kitchen.